The University of California has entered into a master agreement with Global Plant Genetics, Ltd., based in Norfolk, England, for the sublicensing of new strawberry varieties in selected countries within Europe, the Mediterranean and South America. The agreement governs the commercialization of new varieties from the UC Davis Public Strawberry Breeding Program located at the University of California, Davis. GPG will work with UC Davis researchers, plant nurseries and fruit producers to test the commercial potential of new strawberry varieties in the specified territories. If the parties agree to move forward with commercialization of a variety in the covered territories, GPG will implement and manage the licensing of the varieties to growers for fruit production, distribution and eventual sale to consumers. 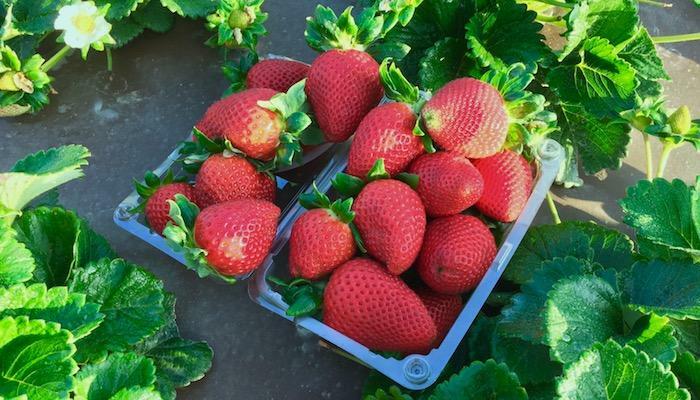 This new arrangement will not impact the university's current licensing program for the California strawberry industry. "I greatly appreciate the effort everyone has put into creating this partnership. The dedicated and professional team at GPG will provide the university with a strong and well established business for delivering newly developed UC Davis cultivars to several important international markets," said Professor Steve Knapp, director of the breeding program. "We are truly excited to be representing the world's number-one strawberry breeding program," said Rupert Hargreaves, director of GPG. "The quality of plant breeding, access to modern science, huge gene pool and impressive team of people give us confidence that varieties from this program will be at the forefront of international strawberry production for many years to come." GPG was selected by UC Davis because of the company's unique knowledge of the strawberry industry as well as its expertise in plant intellectual property (IP) management. The terms of any individual licenses undertaken under the agreement will be defined once the commercial potential of individual varieties has been determined. The term of the agreement is for ten years. "The university has significantly enhanced the UC Davis Public Strawberry Breeding Program so as to enable development of the next generation of commercially successful strawberry varieties," said Dushyant Pathak, associate vice chancellor of Technology Management and Corporate Relations in the UC Davis Office of Research. "Tapping GPG's network in the berry industry and its experience with licensing high-value plant varieties will help deliver our new varieties to nurseries and fruit producers in important growing regions around the world," said Pathak. UC has been breeding strawberries since the 1930s, and the breeding program has been located at UC Davis since the early 1950s. The goal of the program is to develop new, commercially useful varieties of strawberry plants that have higher quality berries, are less vulnerable to pests and diseases and can be grown more efficiently. During the prior six decades, the program developed more than thirty patented varieties. Approximately one billion patented strawberry plants are planted worldwide each year. Strawberries are a top-earning invention for the university and in fiscal year 2018, UC collected over $7 million in gross licensing revenue. A portion of the revenues received by UC from licensing its strawberry varieties fund the UC Davis Public Strawberry Breeding Program to support the research and innovation on which the industry relies.